Why yes, vampires and zombies and all of those ghastly dead things are ten a penny in video games. Are they special enough to warrant inclusion in the VGamerZ Monster Files? Usually not. We’ve previously taken a look at Plants Vs Zombies’ take on the undead, which at least lent a toontastic cutesy spin to the old cliche. After all, we’ve seen a lot of zombies, but how many of them were disco dancers (Michael Jackson’s Thriller video notwithstanding)? Or scuba zombies with rubber rings around their waists? That’s the difference, right there. 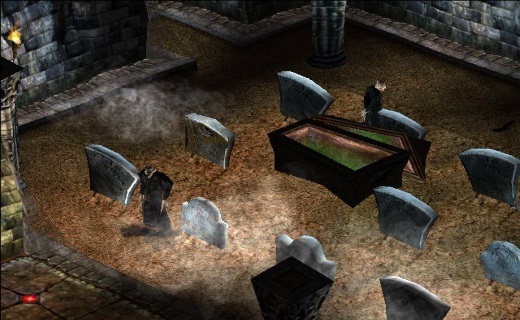 Now, vampires have never quite reached the video game fame level of their undead brothers. But they’ve been done, and never with quite as much style and flair as these guys. Let’s take a look. Macabre/black humour-y strategy game Dungeon Keeper had some great creature designs. In this series, we’ve already seen the Bile Demon, whose name probably tells you all you need to know. 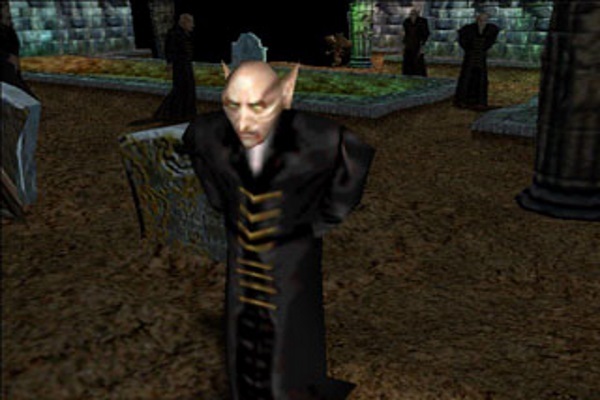 But nothing in the game struck me more than its unique take on the vampire. For the uninitiated, the game has you constructing a series of dastardly lairs beneath the ground. From there, you’ll do battle with the goodly heroes who invade, which means you’ll need an army of your own. All kinds of hideous beasts will join your ranks, including the far-too-studly-for-you vampire. This guy. This guy. He looks brilliant (design-wise, that is. Let’s not get into Dungeon Keeper’s blurtacular nineties visuals), he fires crazy spells at your enemies like a mad mofo, and he can resurrect himself on death. Yes indeed. When killed by a hero, your vampire will simply respawn unharmed; albeit at the cost of one experience level. This ensures he’ll be around to bring the pain for some time to come. A nigh-immortal, very powerful unit which is proficient at both close combat and ranged fighting. Who also looks awesome. You can’t argue with that. Add in the fact that he stalks the halls of your dungeon sucking his own blood for some damn reason, and you can see the kind of badassery levels we’re reaching here. Let’s also mention the unique manner of recruiting them: they spawn in your graveyard when enough bodies have decomposed there. Yep, it’s just as creepy as it sounds.